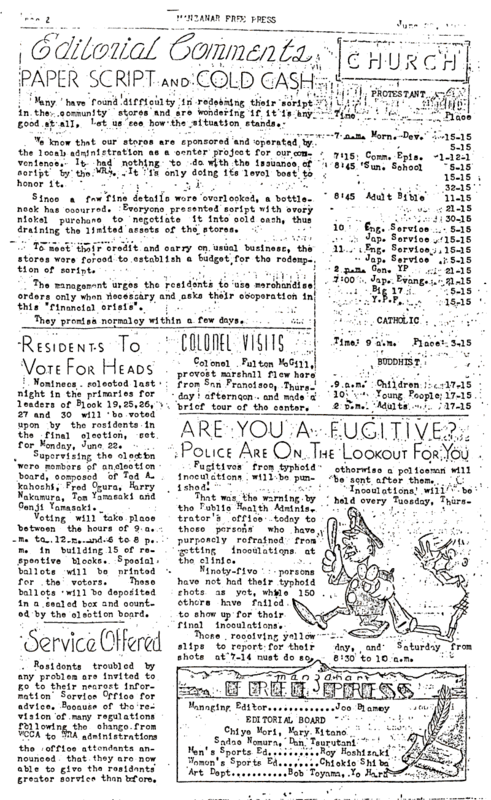 Document Notes: Center newspaper, Vol. 1, No. 26 Gives some idea of the organization and operations within Manzanar Relocation Center. Each center had its own paper.